Samar Aoun is Professor of Palliative Care, School of Nursing, Midwifery and Paramedicine, Faculty of Health sciences, Curtin University, and adjunct professor at Monash University and Latrobe University. Samar Aoun is Professor of Palliative Care, School of Nursing, Midwifery and Paramedicine, Faculty of Health sciences, Curtin University, and adjunct professor at Monash University and Latrobe University. She has a PhD in Medical Demography from London School of Hygiene and Tropical Medicine, University of London. 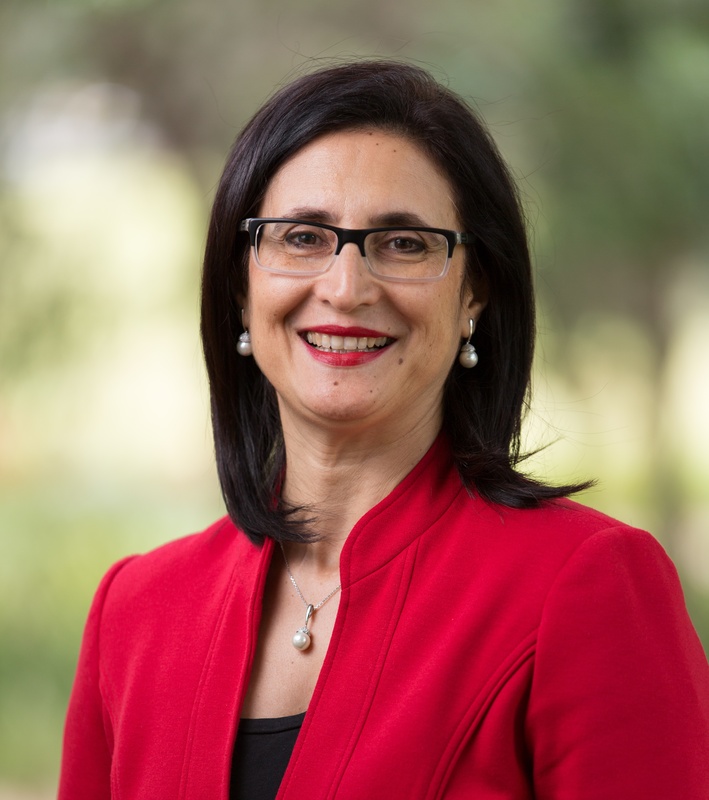 Prof Aoun is a palliative care researcher with a public health approach and a focus on under-served population groups such as people with Motor Neurone Disease (MND), terminally ill people who live alone and family caregivers pre- and post-bereavement. Samar has undertaken a number of projects that informed policy on service planning and the development of support structures for the palliative care community at the state, national and international levels, funded by NHMRC, ARC, MNDRIA and industry partners. To name a few relevant to this presentation, she led the review of the palliative care services in Western Australia which has become the blueprint for informing service planning. At the national level, The National Inquiry on the Social Impact of Caring for Terminally Ill people has become seminal work in the field of family caregiving. She is a founding member of the International Collaboration in Family Caregiving at End of Life, with colleagues from the UK and Canada, implementing the Carer Support Needs Assessment Tool (CSNAT) in different settings and disease groups including MND. She led the national study on best practice in breaking the news of an MND diagnosis: A survey of patients, family carers and neurologists, and her innovative “public health model for bereavement support” is informing policy and practice at the international level. Prof Aoun was awarded the Centenary Medal in 2003 from the Commonwealth Government for her work in rural health and community development. Samar has established and chaired the West Australian Country Health Services Ethics Committee for the last 23 years. She has served on two principal National Health and Medical Research Council (NHMRC) committees (2012-15): the Australian Health Ethics Committee, and the Prevention and Community Health Committee. She is currently a member of the NHMRC National Statement review working group and the NHMRC Indigenous Research Ethics Guidelines Review working committee. She has chaired NHMRC project grant review panels for the last five years. She is a member of the editorial advisory board of Palliative Medicine, and an expert advisory group member for the European Association of Palliative Care (EAPC) taskforce for the development of best practice guidelines in bereavement care in Europe. Samar is currently the Vice-President of the MND Association in WA, a Director on the Board of MND Australia, and has previously served as the Chairman of the Neurological Council of WA. Samar was recently awarded The Eleanor Mounsher Medal in recognition of outstanding commitment, dedication and service to people living with Motor Neurone Disease and their families. A palliative approach to caring for people with MND (PwMND) emphasises patient- and family centred care that focuses on the person and not just the disease, the importance of therapeutic relationships between care providers and the patient and family and clear communication throughout the illness trajectory, in particular about goals of care and advance care plans. The aims are to reduce the effects of the disease on the PwMND and their family; maintain the person’s abilities for as long as possible; and enable the PwMND and family to live as full a life as possible. This starts at diagnosis with breaking this bad news with a sensitive and empathetic manner; psychological and spiritual support for the PwMND and their families; treatment of symptoms; end of life decision making; end of life care; and bereavement support. There is increasing evidence that palliative care integrated in a multidisciplinary approach to care leads to improved symptoms and quality of life of PwMND and their families. It is recommended that a palliative approach is integrated into the care plan for PwMND from the time of diagnosis, aiming to optimise their quality of life by relieving symptoms, providing emotional, psychological, and spiritual support pre-bereavement, minimising barriers to a good death, and supporting the family post-bereavement. These outcomes can only be achieved if palliative care knowledge and expertise is extended beyond the domain of palliative specialist services to include the full scope of health and community based services providing care, mostly at home, in order to meet the extensive range of needs of PwMND and their family carers, from diagnosis to bereavement.